SEOUL, South Korea (JTA) – In 2014, Kim Hye-kyung found herself staring into an educational abyss. The mother of two lives in South Korea, a nation where parents fork over a combined $17 billion on private tutoring every year. Children start early – 83 percent of 5-year-olds receive private education – and the pace keeps intensifying until, at age 18, students take the dreaded eight-hour suneung university entrance exam. Flunk the suneung and your job prospects could nosedive. Pass with flying colors and you may land a coveted spot at a top-ranked university. Kim Jung-wan, who directs one such academy – the Havruta Culture Association – says South Korea’s Jewish education quest began in the mid-1970s, when Korean translations of Talmud-inspired stories by Rabbi Marvin Tokayer, an American military chaplain stationed in Japan, first arrived in Seoul bookstores. Tokayer’s stories were a runaway success. The Talmud, the vast Hebrew and Aramaic compendium of first millennium law and lore, effectively went viral in South Korea. In the decades since, hundreds of Korean versions of the Talmud have appeared, mostly deriving from English-language translations and commentaries. These range from picture storybooks for children to more ponderous volumes for adults. 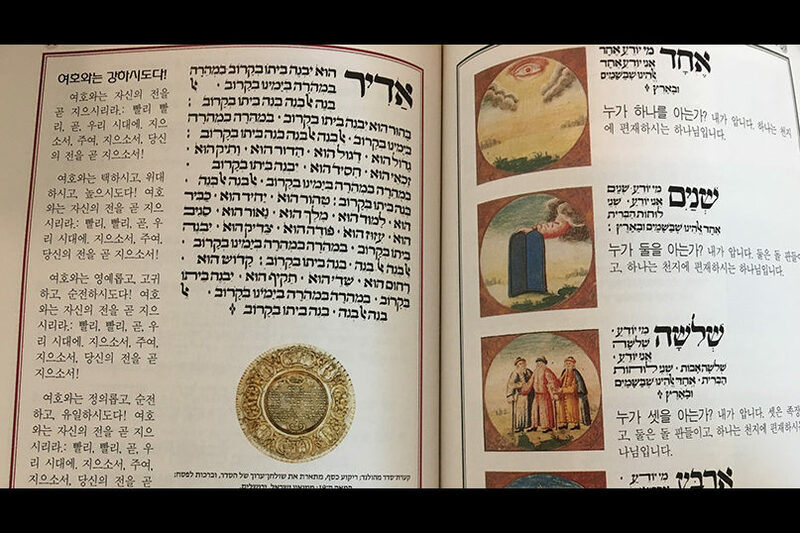 But South Korean Talmud fever also sparked a highbrow fascination with Jewish knowledge – one that has spawned all manner of remarkable publications, including a Korean-language translation of the Passover Haggadah. What they discovered inside sent their hearts aflutter: vast halls resonating with the clamor of heated student discussion, with teachers’ voices nowhere to be heard. Pairs of Talmud students – chavruta comes from a Hebrew root meaning “friend” or “companion” – locked horns in lively debate over texts, parsing its logic and debating a series of written questions posed by teachers. Skeptics urge caution, noting that South Korean education fads tend to come and go. Critics warn that the phenomenon may prove to be another flash in the pan. Parents also believe they can play a part. As she began to read more about the way Jewish scholars practice chavruta in yeshivas, Kim Hye-kyung started thinking of ways to adapt the same methodology at home. She began with family readings of picture storybooks, encouraging her husband and children to ask one another chavruta-style questions at every step of the way.